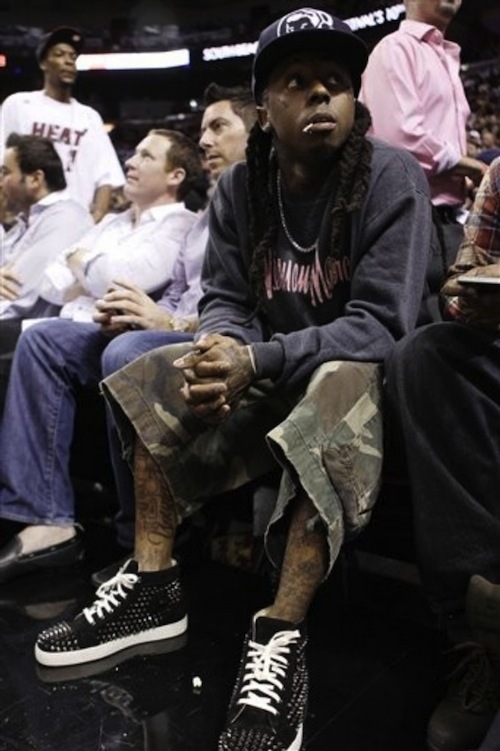 Lil Wayne was spotted sitting court side at the Miami Heat vs. Phoenix Suns game in Miami. Weezy was styling on them lames in a pair of $1,095 Christian Louboutin Louis Flat Spike sneakers. Lil Wayne was spotted in LA, sitting court side at the Staples Center to watch the New Orleans Hornets Vs. Los Angeles Lakers game. 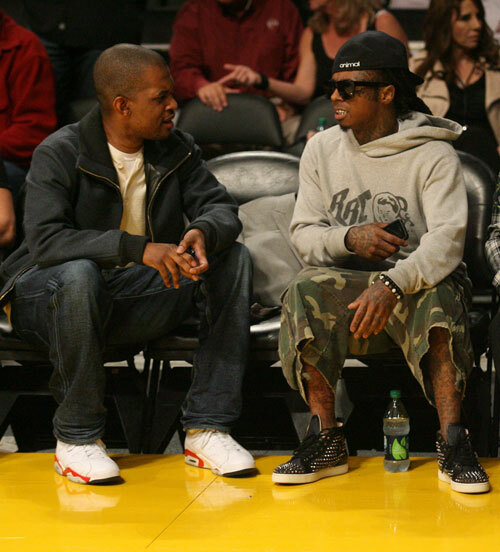 Weezy was styling on them lames in a $995 pair of Christian Louboutin Louis Flat Spike sneakers. If you will like to purchase a pair of Christian Louboutin sneakers, you can order them here. Also, if you’re in the NYC area, you can go to Barney’s, Bergdorf Goodman, Jeffrey or Saks to buy a pair.